If a Jane Howland should try to get in touch with you, know that she is genuine. She is the wife of my son John, Xi ’35, and is being taken by the Army with a group sent by the U.S.O. to Japan, Korea, etc. 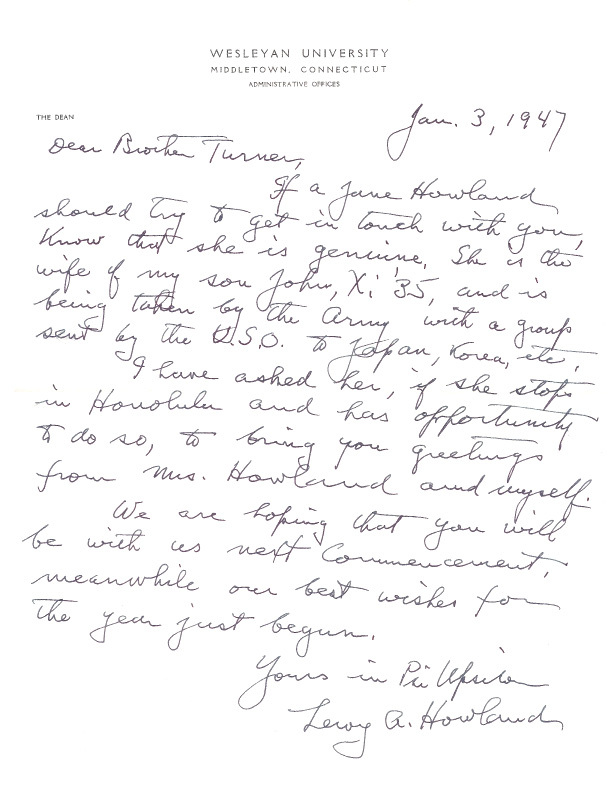 I have asked her, if she stops in Honolulu and has opportunity to do so, to bring you greetings from Mrs. Howland and myself. We are hoping that you will be with us next Commencement, meanwhile, our best wishes for the year just begun.